Hello, fairly new to forum and bought a 2004 Hurley Haywood signature edition in Jacksonville that was serviced at Brumos its entire life before Fields bought them out. I had a new clutch put in and service tech told me that was all it needed, has an updated motor that does not have the IMS failure problem. I paid only $8,000 and put $2,500 into the clutch and it drives like new. All stock and in excellent for age condition as a daily driver with 135K miles and counting on it. Any information about the Hurley Haywood signature cars would be appreciated as all the techs from Brumos that know this care have moved on. 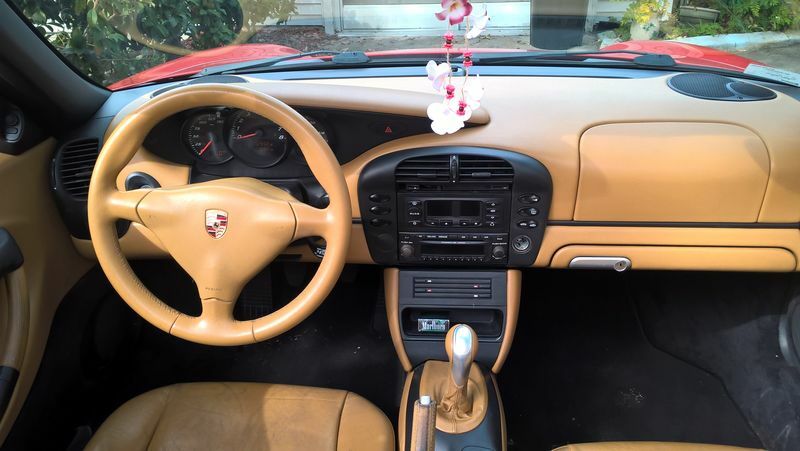 My only question would be if I wanted to upgrade to a Boxster S 6 speed would it be worth it? I drive a lot to Tallahassee from Port Orange on the highway and noticed, on regular road driving I can get upwards of 34 MPG and on highway maybe 22 MPG would the 6th gear help that any? It has the Bose stereo system setup and sounds great but I need Bluetooth so am going to swap out the head unit for one, anyone need a head unit shoot an offer as I wont need it after the swap and sitting around might get tossed eventually. Whats a Hurley Haywood signature edition? You must have a 911 motor and I thought that was the only model that had a Hurley Haywood signature edition??? But what do I know???? I don't believe there's any such thing as a Hurley Haywood edition Boxster. If the engine is an M96, it isn't exempt from the IMSB issue. I'd have a frank conversation with your Brumos salesperson. Hurley Haywood (look him up if you don't know who he is) was some sort of executive at Brumos at Jacksonville and signed all or most of the cars that were there. I see a lot of them down here in FL and at track events in the south east. Typically either a signature, or something like "Driven by" or "Approved by" or some combination. Still pretty cool though! Probably means that car was bought and serviced there regularly. But for the price you got it for you still have plenty of car for the money. You need to go back and ******************** slap your salesman. Probably has the bigger ims bearing from the 987.1 generation, lower failure rate, still.possible but much less likely. Lots of maybes, if's and probablies going on. I could say mines a Chuck Norris signature edition as the salesman told me it was. It's nothing without proof. I'm sceptical due to the fact that it's a 2.7 based car (no front grille and normal brakes). And as said, all of the M96's of this era that would fit, all have the same IMS problem. Do you have any photographs of the engine? Documentation? Anything other than saying it is? Last edited by geraintthomas; 02-13-2017 at 08:55 AM. Hurley Haywood is a well known Porsche racing driver who was associated with Brumos. He test drove and signed off on many if not all of the cars delivered from Brumos Porsche. 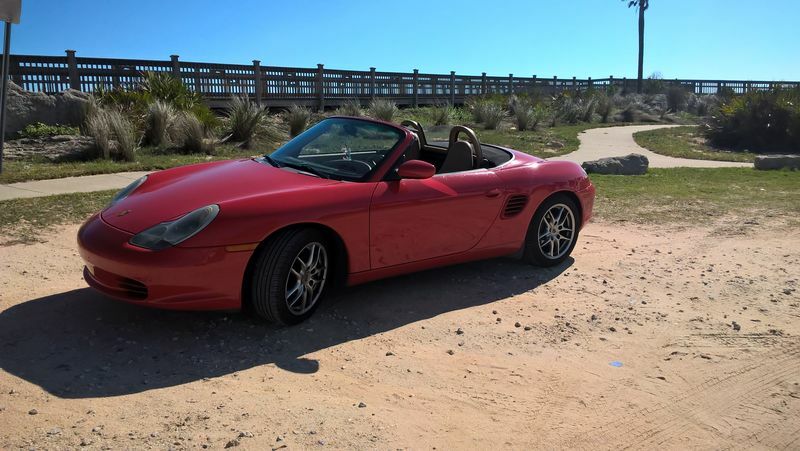 This is a standard Boxster that was purchased from Brumos, nothing more. Re: the motor, even if it has been replaced it is still prone to failure as are all M96 motors.